So, in case we haven’t met, I love cookies. I like to make them almost as much as I like to eat them. This summer I got to make two batches of cookies for Phong to take to work and just barely managed to remember to take pictures of them. 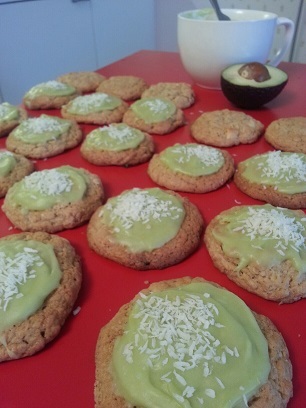 The most recent was a combination Phong came up with himself- white chocolate chip cookies with avocado frosting. I’ve done an avocado frosting on cupcakes before but this was the first time I did it on a cookie and it turned out great! I’m not even a big fan of avocado and I still loved it. Directions: Cream the butter, brown sugar, white sugar, baking powder, baking soda, cinnamon, eggs and vanilla in a large bowl. Add the flour. And then mix in the oats and chocolate chunks. I roll them into ball and flatten into pucks. For the Frosting: Mash up an avocado and then start mixing in powdered sugar until it becomes thick and that pretty lime green color. If you want to add coconut sprinkles (or any other kind of sprinkle) remember to do it before the frosting hardens. The other was Sugar Cookies. 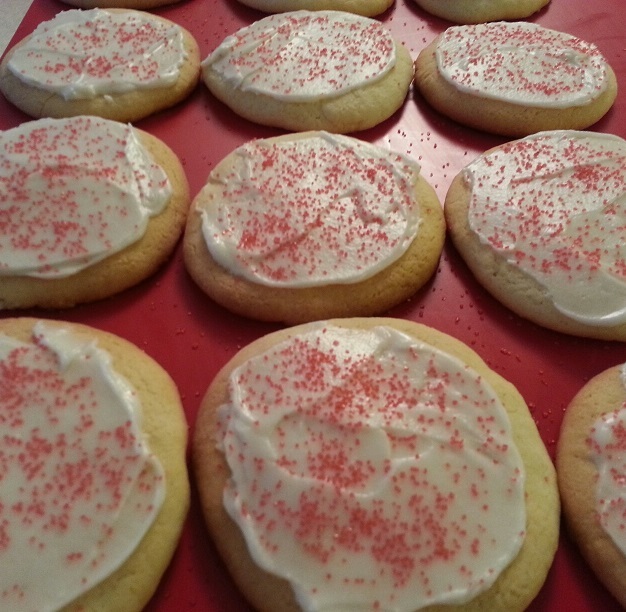 I’ve used this recipe a few times and it’s hands down my favorite sugar cookie recipe. Directions: Cream butter and sugar. Add eggs and vanilla. Separately mix flower, baking powder and salt and then add to butter mixture. For the frosting just mix the ingredients and make sure the cookie is cool before you frost it. Sprinkle quickly! 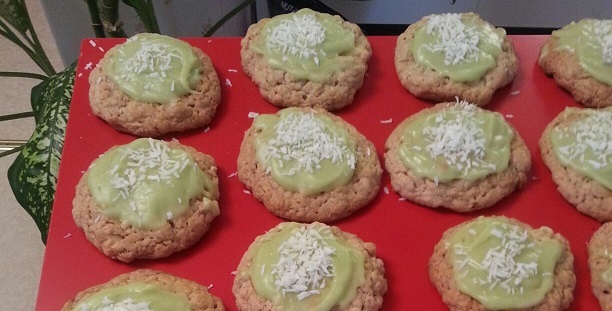 If you’re not from the States you might have noticed that these recipes are. I play pretty fast and loose when it comes to recipes. I find that cookies are the most forgiving of baked goods when it comes to this kind of cooking. For tbs (tablespoon) I actually just use a normal sized spoon and tsp (teaspoon) I use a tea spoon or just eyeball it. I have a measuring cup so I don’t have to try to convert these into deciliters. 1 cup is a little less than 2 1/2 deciliters. You might also have noticed that I didn’t give a baking time or temperature. I almost always baking cookies at 175 Celsius (350 Farenheit) until they look done. For me, done is a little brown on the edges, that moment when they just started to get color. I like a soft cookie. 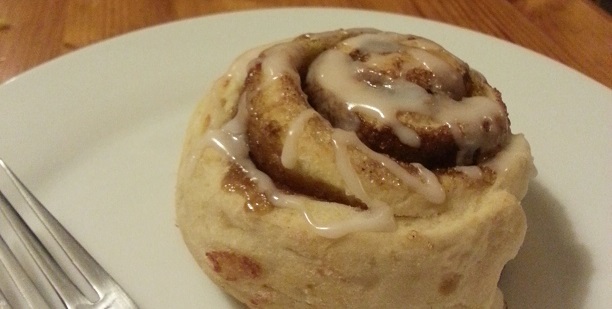 Quick and Easy Cinnamon Buns! Alright, so I generally try to avoid recipes that have yeast in them because I don’t like having to wait… perhaps because I have a habit of starting something else while waiting and then forgetting about them. Anywho, I found this great recipe for cinnamon buns without yeast a long time ago and just love them! They’re so easy to make and I’ve even done them without sugar and with lots of raisins before and it was still great. In a blender mix cottage cheese, milk, sugar, butter and vanilla. In seperate bowl mix flour, baking powder, salt and baking soda. Add milk mixture. Knead and roll out the dough. Spread melted butter on top and then sprinkle with the brown sugar and cinnamon. Bake 20-28 minutes, until the tops start get golden. For a topping I just mix some powdered sugar, milk and vanilla and then drizzle it on top. This is one of those recipes that’s really simple and flexible and tasty but actually looks like you knew what you were doing. I sautéed some mushrooms (cut them smallish first) while I cored the tomatoes and onions. For the tomatoes, it’s kind of like gutting a pumpkin but a lot faster and a little more delicate. I just cut the tops out and then use a spoon to scoop out the insides. The onions take a little more muscle and finesse to get out as much as possible without breaking the onion. 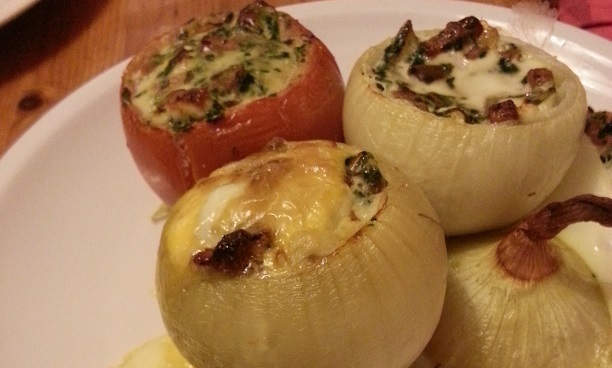 It’s best if you only have one or two layers of onion left for the shell. And save your onion shavings! You can use those for other things! I mixed the mushroom with thawed spinach, chopped up feta cheese and some fake bacon bits (I’m vegetarian by the way, has that come up yet?). I’ve also made this using fake ground beef and different cheese on top of the filled tomatoes. You can really just do what you want here and fill it with what you like. Tips! If you use real meat, make it small and cook it first. And, because I tried, I learned that this is a lot trickier if you try to add egg to the mixture in the tomatoes because the tomatoes are already quite juicy and the liquid just makes it really hard for the egg to cook. Learn from my mistakes! This might be silly but I’m going to put it out there. Cocoa. It is not to be made from a little pouch of prepackaged sugar and chocolate powder with dried up marshmallows. I have discovered this and though I am certain many, MANY, people already knew how to make cocoa on their own- I did not. Not until I moved to Sweden about four years ago and learned that most everything that came in boxes of premeasured ingredients could actually be made without boxes at all! In fact, you don’t even have to measure anything! If you want more sugar, you add more sugar. If you want your cocoa chocolatier (it is definately a word) just add more cocoa! I measure the milk by pouring it into my cup and then into the pot. After that it’s just whisking in whatever you want until you love it and it’s steamy. That’s it! If you’ve never made your own cocoa, do it. 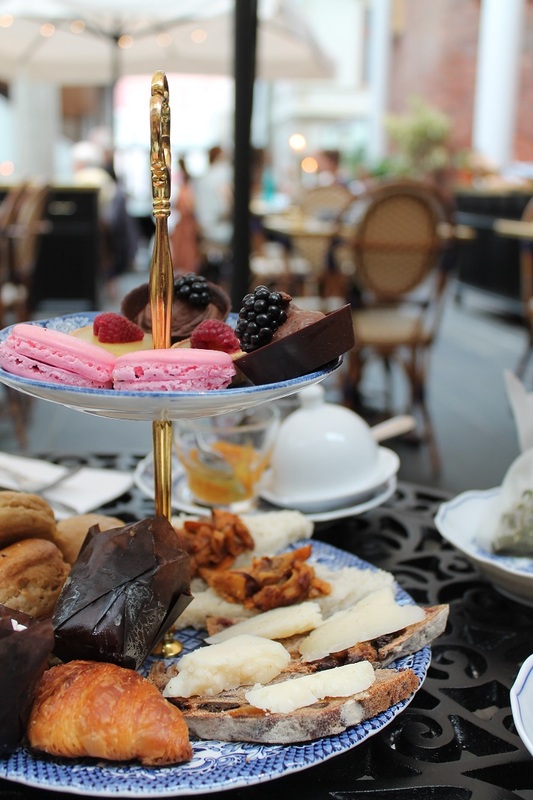 Cocoa in the cafe is fantastic but we can’t always get dolled up and trudge out to the cafe. Sometimes we have to have cocoa while sitting in our pajamas at the computer. Now, if you’ve made your own cocoa since you were little and it is basic knowledge to you, ignore me or perhaps take a moment to smile at the fact that, honestly, until I was twenty-two I had no idea that this could be done.